LeMoyne's mission is to promote the careers of local artists, to educate and foster appreciation about the visual arts and to provide a wide variety of art filled experiences for the community. 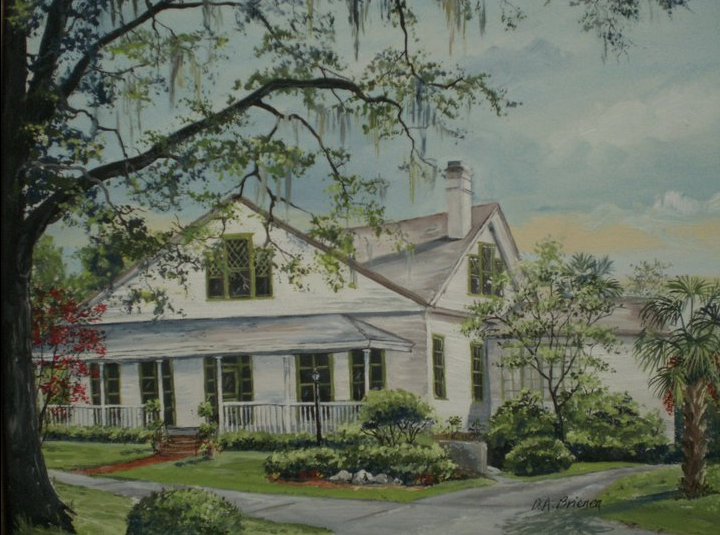 LeMoyne Center for the Visual Arts is Tallahassee's longest running, premier art galleries and art education center. Founded in 1963, LeMoyne has served the Big Bend art community by providing high quality art exhibitions, studio art classes for all ages, summer camp for school children and teens and annual events for the whole community such as the LeMoyne Holiday Show and the LeMoyne Chain of Parks Art Festival. Many artists have launched their artistic careers through LeMoyne by holding an exhibition or by participating in the Chain of Parks Art Festival. LeMoyne has a Gallery Shop featuring the work of local artists. The Helen Lind Sculpture Garden features sculptures and fountains and is available to rent for weddings, receptions and special events. LeMoyne is housed in a restored 1854 Antebellum home. Find current and upcoming events click here. For current exhibitions click here. For art education information, click here or email [email protected]. LeMoyne is a nonprofit organization that depends on the community to support its mission through membership and volunteering. For more information on how you can help, click here. It hosts an annual Art & Soul Celebration fundraiser.